Lahore is at the core of Pakistan's media and arts scene. Pakistan's most prestigious art college, National College of Arts, is located here. Every year, it hosts the World Performing Arts Festival, in which artists from dozens of countries show off their talents. This festival is managed by the Peerzada group, which is also the largest puppetry theater company in Pakistan. Lahore is also home to the country's developing fashion industry.It houses Pakistan's most esteemed board of designers , the Pakistan Fashion Design Council, which features some of Pakistan's best names in the circles of fashion and design.As a result the city is supported by numerous designer outlets and the country's most prestigious fashion school, the Pakistan School of Fashion Design, which has some of the best photo studios and photographers in the country. The Pakistan Fashion Design Council, also successfully organized the Lahore Fashion Week 2010 as well as the PFDC Sunsilk Fashion Week Lahore 2011. Lahore has also been home to Pakistan's old classical music, ghazals and Qawwalis, with big names such as Noor Jehan, Arif Lohar, Nusrat Fateh Ali Khan, Mehdi Hassan and Ghulam Ali residing in the city. In recent years Lahore has produced some of Pakistan's greatest pop singers, such as Ali Azmat, Atif Aslam and Ali Zafar. The city is recognized as the birthplace of South Asia's modern rock scene thanks to popular bands like Junoon, Jal, Call, Roxen, Noori and Entity Paradigm, some of whose songs have been featured in Bollywood films. Pakistan's film industry is based in the city and is called Lollywood. 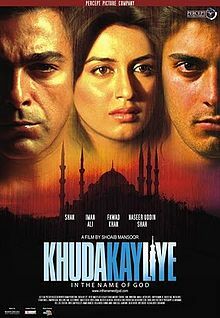 Many films are filmed in Lahore and the city has some of the oldest film studios in the country. Many actors and directors are based in Lahore, which brings many artists together to launch films. Cinema's popularity is on the upswing again in recent years and IMAX is building outlets in the city. Several FM radio stations and television stations have set up their operations here. Lahore is home to many popular news channels such asDunya News and Express News amongst others.Geo TV's Infotainment Division and Pakistan's first children's television channel, Wikid, as well as Pakistan's first community channel, Asset Plus (available only in DHA Lahore) and lifestyle channel, Value TV are all based here. The television channel, City 42 broadcasts news and information about latest happenings and events in the city. The channel contains a variety of programs in Urdu, Punjabi and English which span from current affairs to general infotainment.